Choosing your cabinets is a big deal, after all your cabinets are the anchor for your kitchen, setting the tone for your kitchen style. 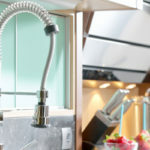 On top of that, your cabinets are among the leading contributors to the overall appearance of your kitchen. Choosing to make the investment in premium cabinetry, ensure a functional, durable, strong, and beautiful look for 2019 and the years to come. There are a number of cabinet styles on trend for 2019 that are long on style and promise long wear as well. Let’s explore the latest trends and find the style and aesthetics perfect for you and your home. While not a new trend, white cabinets seem to never go out of style, and 2019 is no exception. 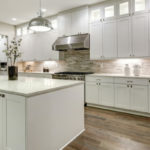 White (and off-white) cabinetry is an excellent choice for traditional and modern kitchens, which ideally pairs with natural wood and stone accents like flooring, countertops, tables, and islands. White cabinets also offer a fresh, light, clean look in any kitchen. Another timeless choice for your kitchen is shaker style cabinetry. With simple clean lines, nearly every cabinet make and style offer a shaker door option. Like white cabinets, shaker styling fits perfectly with farmhouse style, contemporary style, and even industrial style. Because the square paneled doors offer simple styling, they can be paired effectively with a variety of hardware to show off your kitchen style. For modern style, as well as smaller spaces, glass cabinet doors make kitchens look larger while adding a unique measure of elegance to your space. Glass doors also allow you to show off dinnerware or glassware in a way that keeps dust away allowing you added function with a large dose of style. 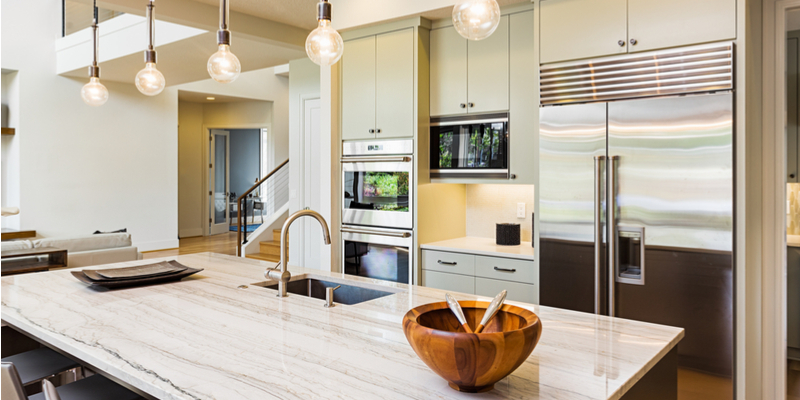 For contemporary kitchen design, look for minimalist features like crisp, clean lines, in natural tones like taupes, creams, browns, and even whites. 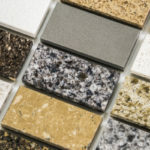 Also in the mix are high gloss finishes, matte hues, and wood grains with vertical or horizonal features. Contemporary styles are simple and smooth, without ornate accoutrements. 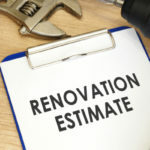 While two-toned cabinetry has been a rising star in years past, 2019 may be its year. Two-toned design adds a bit of style and drama unmatched in a monotone design. While one design trend calls for dark cabinets and light countertops or vice versa, a growing trend uses light upper cabinets with dark lower cabinets which make your kitchen appear more spacious. Among the favorite color selections are blue and black, a combination which works well in both traditional and contemporary kitchens. These hues are the perfect foil for the latest in hardware style including copper and gold. Open shelving offers another way to show off your artsy side, allowing you to display dishware and glassware, as well as adding creative touches like jars, plants, and even art to your kitchen. Open shelving tends to work with modern, contemporary style, and offers a high level of convenience because of accessibility and organization, plus if you are using the dishes regularly, dust isn’t an issue. While style is always important, storage is king in every kitchen. As you know storage is among the most important considerations in the kitchen, keeping everything organized and making cooking more fun. Built-in storage like lazy susans and pull-out racks and shelves, are certainly a rising trend that is here to stay. Drawers are also a popular storage solution making it easier to reach the items in the back of your cabinets.